Presidential experience comes in many forms. Washington and Eisenhower commanded armies which changed the course of world history. Jefferson wrote the Declaration of Independence and was Vice President. Franklin Roosevelt was Assistant Secretary of the Navy and later Governor of the nation’s largest state. Other Presidents were Governors, Senators, generals, businessmen and farmers. John Quincy Adams perhaps holds the record, having devoted 70 years of his life to public service. But somehow the greatest President in American history turned out to be a former state legislator who served just two years in the U.S. House of Representatives. In the 1840s, the Seventh Congressional District of Illinois stretched along the Illinois River from Scott County up to Putnam County. The district leaned strongly toward the Whig Party. 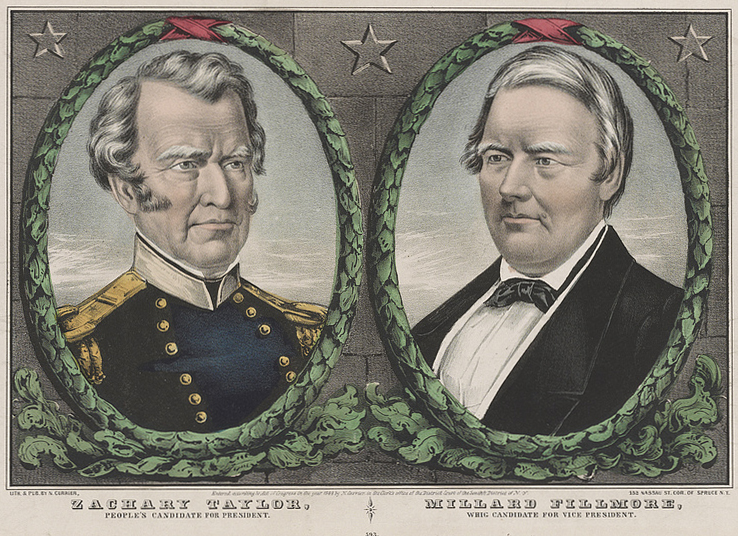 The Whig nomination was tantamount to election in those days. As a result, that nomination was sought out by a large number of up-and-coming leaders in the area, including in 1843 a lawyer and former state legislator from Springfield named Abraham Lincoln. Lincoln wasn’t alone in his quest, however. Another lawyer and former legislator; John Hardin of Jacksonville; was in the mix, as was state Senator Edward Baker of Springfield, a friend of Lincoln’s and a fellow veteran of the Black Hawk War. Lincoln and Baker were such close friends that Lincoln named his son after him. When Sangamon County pledged its support at the upcoming district convention to Baker, Lincoln engineered a maneuver that might open the door to his own ambitions in the future. The preference of the convention was for Hardin. Stressing party unity, Lincoln went to the convention and moved that the nomination of Hardin be made unanimous, but also moved that at the next election the convention support Baker, thus establishing a rotating nomination that might eventually rotate around to Lincoln. His motion was adopted, and Hardin was nominated, with Baker waiting in the wings. After Hardin and Baker each served their term, Lincoln’s chance came in 1846, though not without some reluctance from Hardin who wished to run again. Lincoln was nominated by the Whig convention on May 1, just days before war broke out with Mexico. Hardin was made colonel of one of the Illinois volunteer regiments and left for the battlefront, clearing the way for Lincoln. Baker, too, became a regimental commander. Lincoln, suspicious of the motivations of President James K. Polk, was not a supporter of the war, though he called for national unity while soldiers were in the field. In the general election, Lincoln beat his opponent, Peter Cartwright, 6340 to 4829. In the mid-18thCentury, Congress did not convene until more than a year after its members were elected, meaning that while Lincoln was now a Congressman, he would not take his seat in Washington until December 1847. He spent the first year of his term Illinois, trying cases, promoting railroads and traveling to a convention in Chicago to protest Polk’s veto of an infrastructure appropriation bill. News of great victories began coming back from Mexico, including at Buena Vista, where former Congressman Hardin had been killed. But the national unity that had accompanied the opening of hostilities was fraying. Whigs raised doubts about whether the war wasn’t just a ploy by the pro-slavery Polk to add more territory which would inevitably become slave states. It had already happened with the annexation of Texas the year before. Congress stopped the “Wilmot Proviso,” an amendment by Pennsylvania Congressman David Wilmot which would have prohibited slavery in any new territory acquired by the war. Lincoln said little about the issue of slavery either as a candidate or during his first year as a Congressman, in much contrast to speeches just a few years later. boardinghouse was located in Washington, D.C.
Amidst this backdrop, Congressman Lincoln, his wife Mary and their two sons, Robert and Eddie, moved into a room on the second floor of Ann Spriggs’ boarding house in Washington, just east of the Capitol where the Library of Congress stands today. The city of 40,000 residents (including 2000 slaves) was very different then as compared to today. The Capitol building had yet to acquire its dome, the Washington Monument was still on the drawing board, and the White House backed up to a swamp which reached all the way to the Potomac. At night, Pennsylvania Avenue was the only street lit with oil lamps, which were extinguished on nights Congress was not in session. Lincoln was not interested in the alcohol-soaked parties that could be found throughout the capital. He instead confined his activities to attendance at afternoon concerts by the Marine band, games of bowling, and swapping stories. Mary Lincoln found the capital to be a bore, and within a few months she and the boys had left for Kentucky where her relatives lived. When Congress finally convened, the freshman from Illinois found himself relegated to a seat in the back row, far behind Adams, the former President who had returned to Congress for his final years. His first floor speech called for “internal improvements,” or infrastructure, without borrowing money to pay for them. But Congress wasn’t interested in the issue. Polk’s justification for the war was a highly controversial engagement between U.S. and Mexican soldiers in disputed territory in present-day south Texas. Polk declared that American blood had been shed on American soil. Lincoln’s resolution challenged the President to show the exact spot where the battle had occurred, answering the question of whether or not blood had really been shed on American soil. Lincoln accused Polk of being, “deeply conscious of being in the wrong,” and said the President wanted to “escape scrutiny by fixing the public gaze” on the victorious Army, rather than the issue that had sent them into the field in the first place. The President ignored him. Lincoln walked a fine line on war votes. He never missed a chance to embarrass Polk over the origin and the conduct of the war, but he always supported appropriations bills to supply the soldiers in the field. But even this was not going to be enough to prevent him from paying a high political price. Still, the revolving Whig nomination was moving away from him. Lincoln would step aside after his single term in Washington. But he was not yet done with politics. In 1848, the Whigs nominated the hero of the Mexican War, General Zachary Taylor, for President. Lincoln attended the convention of Whigs which nominated Taylor, and worked tirelessly for his election in the fall. “In my opinion, we shall have a most overwhelming, glorious triumph,” he wrote. Lincoln took to the speaking circuit, giving speeches for the Whig ticket in the northeast. Now a lame duck, Lincoln returned to Washington in December for the last weeks of his term. He had a newfound passion for opposing slavery, perhaps influenced by another speaker he encountered on his tour of the northeast, New York Governor William Seward, who would become Secretary of State in 1861. Boundaries had to be determined for the new territories in the southwest, and Lincoln voted with the anti-slavery elements in Congress who sought to lay the groundwork for free states in California and New Mexico. He also voted over and over for language resembling the Wilmot Proviso. He voted for a bill to end the slave trade in the District of Columbia, but it failed to pass. 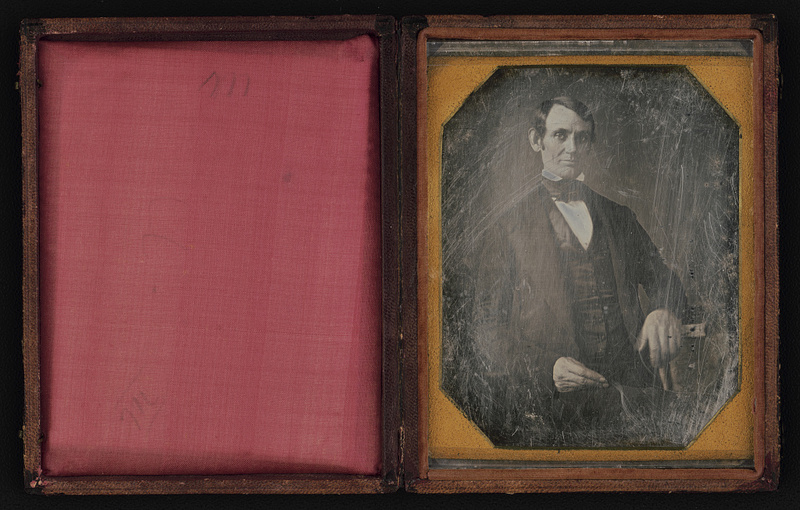 Lincoln’s last days in Congress foreshadowed the dark days to come. Debates over slavery shoved all else aside, and grew increasingly acrimonious. A fistfight broke out on the House floor. Within a few years, a pro-slavery House member would attack an abolitionist Senator with his cane on the Senate floor and very nearly beat him to death. Lincoln departed from Washington filled with disappointment. He sought a position in the federal land office, but was denied. Suggestions he made for patronage appointments in the new administration were ignored, and repeated requests for meetings with cabinet members went unanswered. He was finally offered the consolation prize of governorship of the Oregon Territory, but he declined. Lincoln’s political star seemed to have faded permanently, and he returned to Illinois very much in the political wilderness. As Lincoln reluctantly returned to handling cases in local courthouses in 1849, it looked him like his days in national politics were over. But soon the former Congressman from Illinois would once again be thrust into the spotlight for the most difficult challenge of his life and the life of the nation.